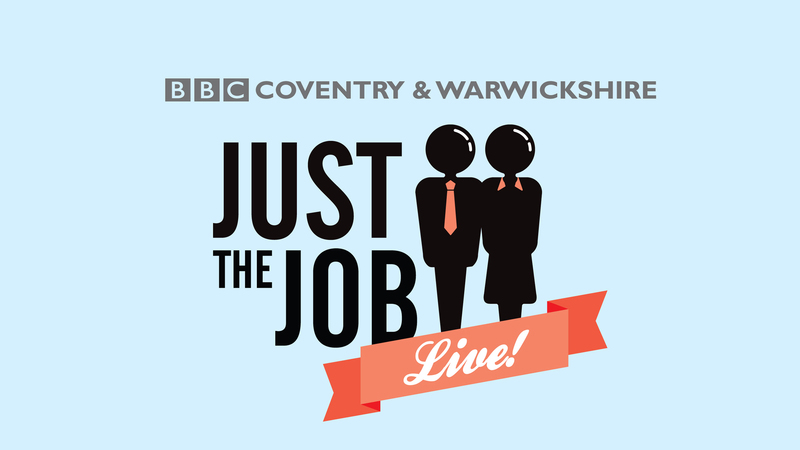 We were commissioned by BBC Coventry and Warwickshire to create the branding for the Just The Job Live event this year. 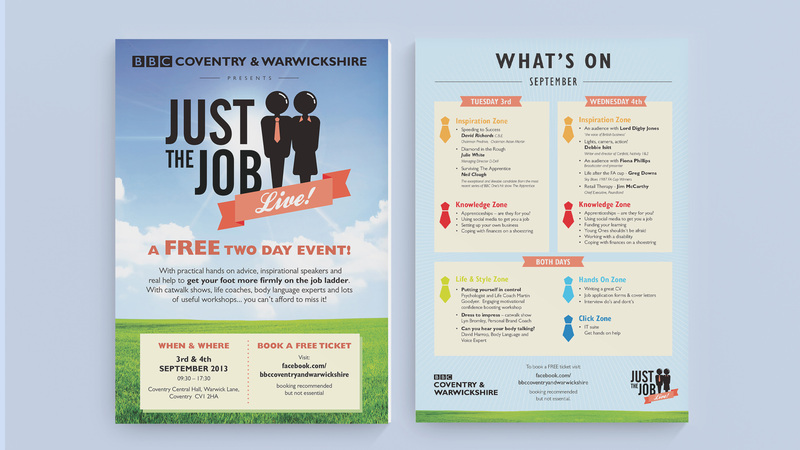 This free two day event offered help and advice to unemployed in the area. We developed a fun brand which was applied across a range of media including newspaper advertising, signage, posters, leaflets, banners and social media. The result was an engaging brand that attracted large numbers to what turned out to be a very successful event.